Why does GS Africa transact a Pre-Authorisation or Sale on my credit card for the Insurance Excess Deposit? Upon collecting your motorcycle from GS Africa, the Insurance Excess Deposit is debited to a credit card, for authorisation to ensure sufficient funds are available. The authorisation is a hold should there be damages to the vehicle, which is released when the motorcycle has been returned in the same condition as when received at collection. The driver must be in possession of a credit card in his/her name. Debit cards are not accepted for motorcycle rental transactions. Please notify your bank beforehand that you will be travelling abroad in order to avoid any delays on the day of your rental. Remember to factor in the amount that will be held against the card to ensure sufficient funds for the remainder of your tour. Once the motorcycle has been returned, the amount will be lifted/debited back with the same rental deposit amount unless there are any other charges due after the rental e.g. fuel, tyre replacement, costs to recover a motorcycle which is not honoured by BMW Motorrad Warrantee Plan (SA as well as neighbouring countries). The authorisation amount/sale amount will be released back into the card within the time frame of 7 – 10 working days. What is the procedure to follow in the event of an accident and request for a replacement unit? Most importantly, should the rider and/or the pillion be injured, please contact EMERGENCY SERVICES on 10 177. Report the accident (however minor) to the nearest South African Police station by calling 10 11 and call GS Africa on +27 (0) 82 904 8228 or +27 (0) 71 515 3808. Take photographs of the accident and the damage to the motorcycle. Please do not sign any paperwork until such time that you have contacted GS Africa. Take down details of any third parties involved. If the supplied rental bike becomes un-rideable due to an accident, no refund will apply. However should you require a replacement motorcycle (if available), you will be required to sign an addendum to the current contract, the transportation(Return-To-Depot fees) thereof, will be for the riders account. What do I do if the bike experiences a mechanical breakdown or a puncture occurs? Unfortunately, this can happen – even BMW’s experience mechanical faults. First and foremost, ensure that you are safely off the road surface – preferably under cover, a fuel station/homestead if possible. Call GS Africa on +27 (0) 82 904 8228 or +27 (0) 71 515 3808 and we will immediately contact the BMW 24 hour On-Call Roadside Assistance service (available in South Africa only) – in the event of us locating an alternative service provider (in close enough proximity), we will endeavour to assist as soon as humanly possible.We provide a complementary easy-to-use Puncture Repair Kit with each rental, full instructions is available from our Mobile Application download. What happens if the motorcycle is damaged whilst being in my possession? Unfortunately incidents do occur whether in or out of your control – we respect that no client renting a motorcycle from GS Africa intends incurring damage to our motorcycle(s). In the event of damage noted whilst the motorcycle is placed in the riders care, the bike will be inspected for additional damage not recorded upon collection, (damage which incurred during the rental period). When deemed to have occurred during the rental period by the rider, irrespective of how minor the damage may be, scratched, dented or damaged parts will be replaced at the prevailing BMW Motorrad dealer retail cost, including labour. A quotation will be obtained and repairs will be carried out at the cost of the rider. Can I connect my own GPS unit to the rental motorcycle? The only addition to the power supply units must be through the BMW approved Hella plug in the cockpit of the motorcycle. No connection in the CANBUS (main electrical system on a BMW motorcycle) nor battery and under no circumstances can this be interfered with as it will affect the safety and performance of the motorcycle. What happens when I modify my original booking? to our Booking and Cancellation Policy (as per below). may result in a rate charge. When extending your rental, the additional amount is due and payable immediately. What happens if I return the motorcycle late? At GS Africa, a rental day is defined as from 08h30AM – 17h30PM the same day. All motorcycles must be returned by 17h30PM latest (preferably earlier as the motorcycle has to be inspected for any new damage whilst it was in the riders care – this is also to expedite the Deposit Refund Process). Should you be later than 17h30PM, a Late Return Fee of R550,00 applies and the motorcycle has to be returned the next day no later than 10h00AM. What happens when I exceed my total free kilometre mileage allocated to a 1 - 6 day rental? 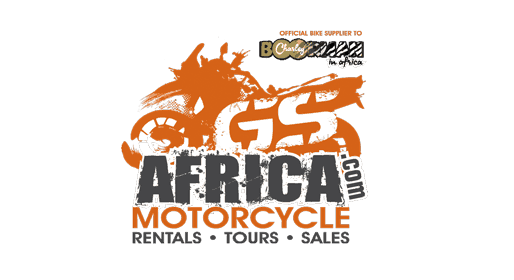 At GS Africa for every rental, there is a specified number of FREE kilometres a rider can ride per day and a specified number for the entire rental period. Please note – if a rider exceeds the number of free kilometres given for the rental period, thereafter a charge of R4,00 is levied for every additional kilometre(s) ridden. What happens if I do not refuel the motorcycle before returning? Upon bike collection, you receive the motorcycle with a fully fuelled tank. Should the motorcycle be returned not fully refuelled, the rider will be charged the applicable amount to refuel and fill the tank as well as a fee of R250,00.